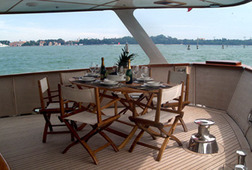 The last frontier of luxury in Venice is staying on a yacht of 30 meters, a few minutes from Piazza San Marco! 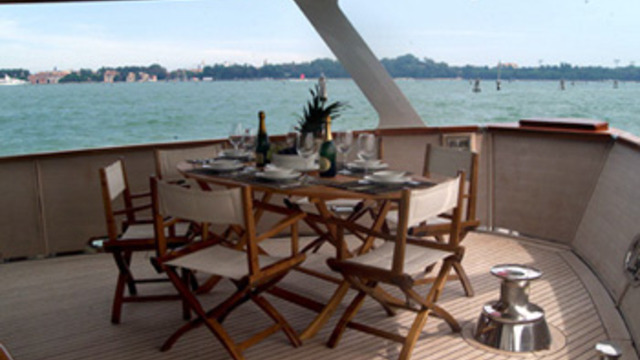 With its 30 meters long, 5 cabins and several bridge, our yacht combines modern and luxury interiors to an elegant vintage external line. 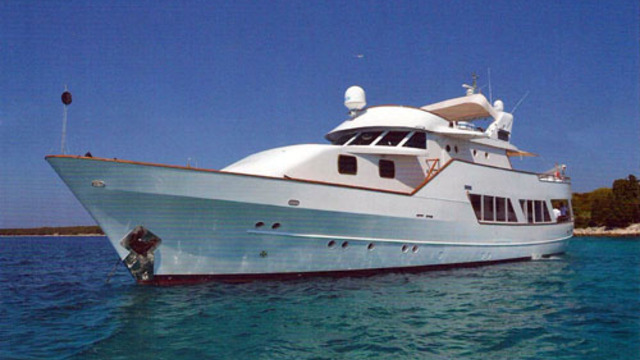 The maximum comfort is ensured by the attention to the details, and to the services offered, such as a Jacuzzi, plasma TV, satellite phone, large dining area and bar, air conditioning, dashboard solarium and much more. A unique and exclusive emotion, as a personal experience or as a gift for your special one, for a dream holiday in the city of dreams. 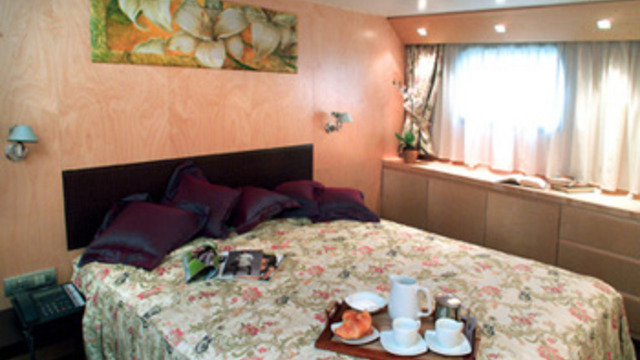 The Master cabin has a queen size bed, bathroom with Jacuzzi shower, mini bar, plasma TV and satellite phone. 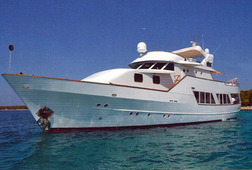 The VIP cabin has a double bed, double bathroom, mini bar, plasma TV and satellite phone. 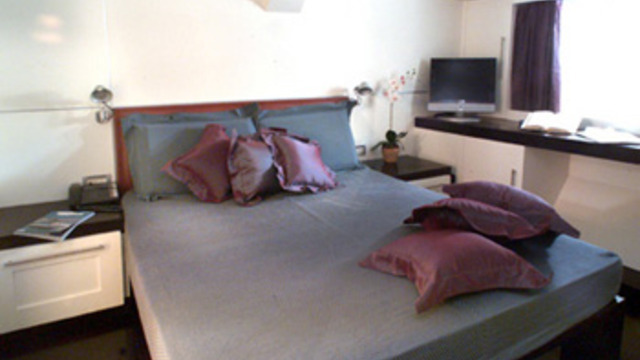 The other three cabins are twin rooms, which are cheaper but with all the basic facilities.